Those who attended the VACC Industry Awards in 2018 will never forget it. More than 1,000 people attended the black tie gala event where 41 elite automotive businesses from across Victoria were announced as category winners in the country’s most important automotive industry award program. The best of the best in the business were honoured in VACC’s 100th year – so will you be one of the best in 2019? The annual VACC Industry Awards program was instituted by the Victorian Automobile Chamber of Commerce, the peak body for the state’s automotive industry, in 2016. “High standards are important to the automotive industry, so the VACC Industry Awards were initiated to recognise and promote those businesses who reach high, attain and sustain business excellence.” (VACC Chief Executive Officer, Geoff Gwilym). and farm machinery sales, tyre retailing, service station and convenience store operations, auto recycling, towing, engine reconditioning, parts and component manufacturing, aftermarket and retail business operations. Following a review of the award categories, some new categories have been introduced: Young Entrepreneur of the Year and Best Business Woman in Automotive. View the criteria for entry for each award catergory here. Make your mark in 2019 – APPLY TODAY. 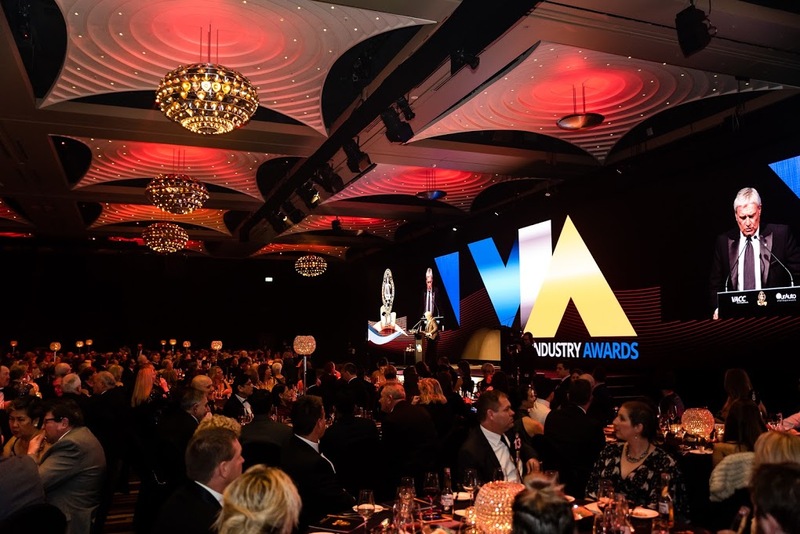 BUY TICKETS for members, staff, friends and family to attend the 2019 VACC Industry Awards Gala Dinner on sale now! We welcome you to be part of this landmark industry celebration and to recognise our annual award winners. The event will provide a fabulous opportunity for the automotive industry to celebrate its rich history over the last 100 years, as well as bringing together the very best in the industry as we award our members with the recognition they deserve. Time: 6pm pre-dinner drinks for 6:30pm sit-down. Concludes midnight.